Two games ago, it looked as though Burnley could be threatening Derby’s unwanted record of fewest points ever amassed in a Premier League season (11). However, they followed up their first win of the campaign against Hull, by beating Stoke 2-1 at the Britannia Stadium. The Potters, who won away at Manchester City and Spurs this season, have been struggling at home and the Clarets took advantage by scoring twice in the first 13 minutes, both goals coming from Danny Ings. Although Jonathan Walters managed to pull one back for Mark Hughes’s team before the break, they were not able to deny Burnley their first away win of the season. The Clarets now sit just a point away from fourth bottom and survival is no longer a distant prospect, but something for which they can fight. By contrast, Queens Park Rangers appear to be offering no such resistance and last Saturday they fell to a limp 1-0 defeat away at Newcastle. That loss dropped them to bottom of the table, with just eight points collected from their opening twelve fixtures. They do not have the worst attack in the division – step forward Aston Villa, who are finding the net just once every other game so far – but they have the leakiest defense and have lost more matches than anyone else in the Premier League this campaign. Luckily for QPR, this weekend they face Leicester City, who have not scored a goal since October 4th and have dropped down the table with four defeats in their last five matches. The exception to that was last Saturday, when they held Sunderland to a goalless draw, but the Foxes look nothing like the team that beat Manchester City and got a point off Everton and Arsenal in their first three league home games of the season. Leicester are now in the bottom three and just above them in 17th place are Hull, who hit the self-destruct button last Sunday against Spurs. Leading 1-0 with just over half an hour remaining, Gaston Ramirez lashed out at Jan Vertonghen after the ball had gone and was shown a red card. Afterwards, Steve Bruce criticized the Belgian defender for overreacting, but in truth, his legs were swept from under him and (for once) he actually did not make a big deal out of it, though I still think the referee could legitimately just have shown Ramirez a yellow card. Down to ten men, Hull were undone by a Christian Eriksen free-kick that came back off the post, but rebounded straight to Harry Kane who converted into an empty net; then the Dane got a goal himself in the final minute to give Tottenham a much-needed victory. The Tigers, who are winless in their last five matches, have two tough matches over the next six days. First, they travel to Old Trafford to take on a resurgent Manchester United team (albeit one still without a recognizable defense) and then stay in the northwest to play Everton at Goodison Park on Wednesday. Hull looked relatively good at the start of the year and have been unlucky not to win a few more matches, but they could well find themselves in the bottom three in a week’s time. Aston Villa had to cancel their website’s goal of the month contest in October after they had failed to score during that time, but in November they will have at least a massive two strikes to choose from after their 1-1 draw against Southampton (the other goal coming against Spurs in a 2-1 loss). They could add to that total on Saturday when they travel to Burnley, then on Tuesday they are in South London to take on Crystal Palace. The Eagles are high on confidence after their 3-1 victory over Liverpool last Sunday, but Neil Warnock’s side are only two points above the relegation zone and have a tricky away trip to Swansea this Saturday. Sunderland are a point ahead of Palace following their 0-0 draw with Leicester, but they face Chelsea and Manchester City – though both matches are at home – over the next week. Gea and a glorious opportunity that was wasted by Jack Wilshere in the first half. 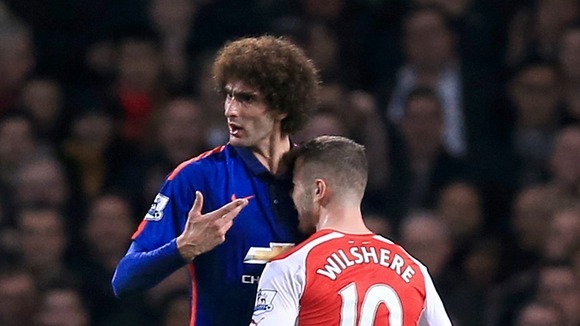 So frustrated was Wilshere by failing to score, he went head-to-chest with Marouane Fellaini in an incident that should have seen the England midfielder sent off. He was not dismissed and then subsequently went down with an ankle injury that required surgery and Wilshere now faces another three months on the sidelines. United are struggling with injuries too, especially in defense where their most reliable central defender has been Michael Carrick, but they have been finding a way to grind out wins in recent matches and they could consolidate their position in the Champions League places over the next week. They have two home matches in that time, first against Hull, then versus Stoke City next Tuesday. Meanwhile, Arsenal are hoping their season will have been boosted by beating the 16th best team in Germany this year, as they defeated Borussia Dortmund 2-0 in midweek to ensure their progression to the knockout rounds of the Champions League. 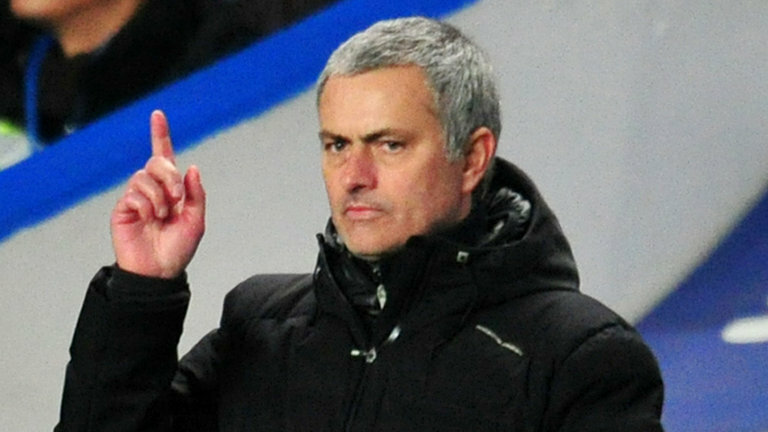 Up next for them is an away game at West Brom, followed by a must-win home encounter with second place Southampton. Everton earned a 2-1 win against West Ham last Saturday and moved to within a point of the Hammers in the table. The Toffees now have a trip to White Hart Lane to face Tottenham, who are below them only on goal difference, and then they host Hull in midweek. For West Ham, they first entertain Newcastle – who have gone from the relegation zone to level on points with Manchester United thanks to five consecutive victories – and then Sam Allardyce’s men are in the Midlands to take on West Brom. As for the Magpies, they will be seeing Claret and Blue in their sleep by next week, as after the Hammers they play Burnley. Despite Swansea’s defeat at City last weekend, they are only a point behind fourth place and their next two fixtures look very winnable: against Crystal Palace and QPR, both contests being at home for the Swans. And then there’s Liverpool. A team that finished second last year and so I will give the respect not to include in the relegation zone, but the fact is they are closer to the bottom three than they are to the top four at this point. Following their 2-2 draw with Ludogrets in midweek, Rickie Lambert – who scored the opening goal for the Reds – declared that Liverpool had answered their critics with that draw. The answer I assume he meant was “yeah, we’re not that good this year and we’re happy with a draw against a Bulgarian team making their debut in the group stages of the Champions League”. At some point, Daniel Sturridge will return from injury, Rahim Sterling will rediscover his form, and Steven Gerrard will be dropped could find some of his old magic, all of which should help the Reds surge up the table. Up next for Liverpool is a home match against the other team currently in no-man’s-land in the league, Stoke City, followed by a trip to Leicester City. Oh wait, that’s what he said about Tottenham last season, who had also made huge investments in August 2013 to compensate for the loss of their best player. Perhaps Rodgers should have checked in with Luis Suarez before making such comments, as losing his own talisman has left him in a position were his own words give scant justification for his own job security to be brought into question. Finally, there was the last but one round of European group stage fixtures played this week. As mentioned above, Liverpool kept their hopes of qualifying for the knockout rounds of the Champions League alive with a 2-2 draw against Ludogrets and will do so if they can beat Basel at home in two weeks; Chelsea ensured they will top their group with a 5-0 win over their former manager, Roberto DiMatteo’s Schalke side; while Arsenal will likely finish second despite their victory over Dortmund. The most exciting performance was by Manchester City, who were a goal and a player up against Bayern Munich, but then fell behind and were completely outplayed by the German champions. However, in the final five minutes, Sergio Aguero scored twice to complete a hat-trick and give City an unlikely 3-2 victory, keeping their hopes of making the knockout stages alive, though they will still need a favor from Bayern in the final round of fixtures. The invader’s pace too much for Soldado. 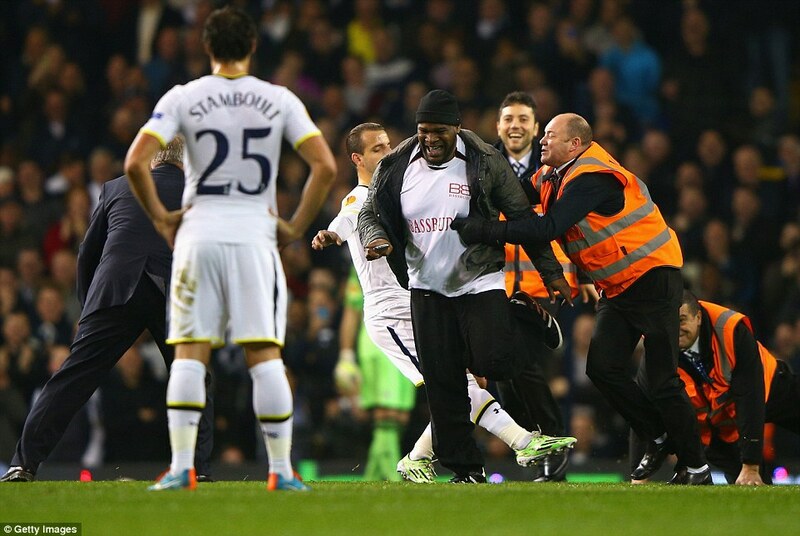 Also, I love the face of the steward at the back. In the Europa League, Everton and Tottenham both qualified from their groups thanks to victories over Wolfsburg and Partizan Belgrade respectively. However, Spurs’ progression could be in doubt after three pitch invaders made their way onto the turf at White Hart Lane on Thursday night, as part of an organized prank where they had a contest to see who could last the longest without getting caught. It is not known if these were Spurs fans, but all three had the name of the club’s official headphone sponsors (side note, I’m an avid supporter and I had no clue that we had an official headphone sponsor) on their shirts. Whatever the punishment, nothing could sum up Roberto Soldado’s tenure at Tottenham more than him attempting to trip one of the invaders…and missing. From close range.